Our Fantasy Football Board Generator allows you to create your own custom Fantasy Draft Board. These are created as .pdf files and can be saved and taken to any local graphics/print shop to be enlarged to the size of your choice. *The next step will allow you to choose the color of your board and add the title of your league to the board. 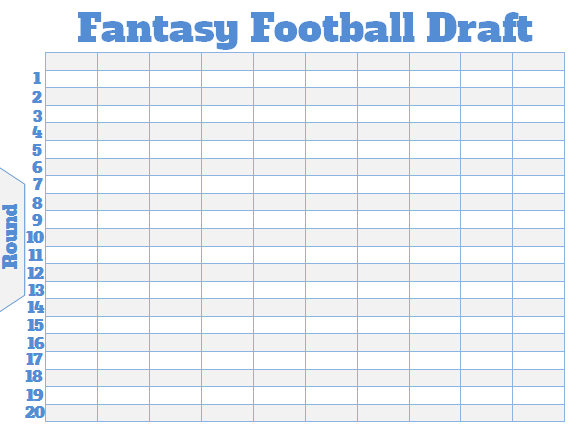 Below is a sample output for a 10 team draft board, where "Fantasy Football Draft" was entered as the title and a shade of blue was selected for the color of the text and the line color of the grid.